Waggin' Tales is the Dallas Public Library's new story hour just for dogs. 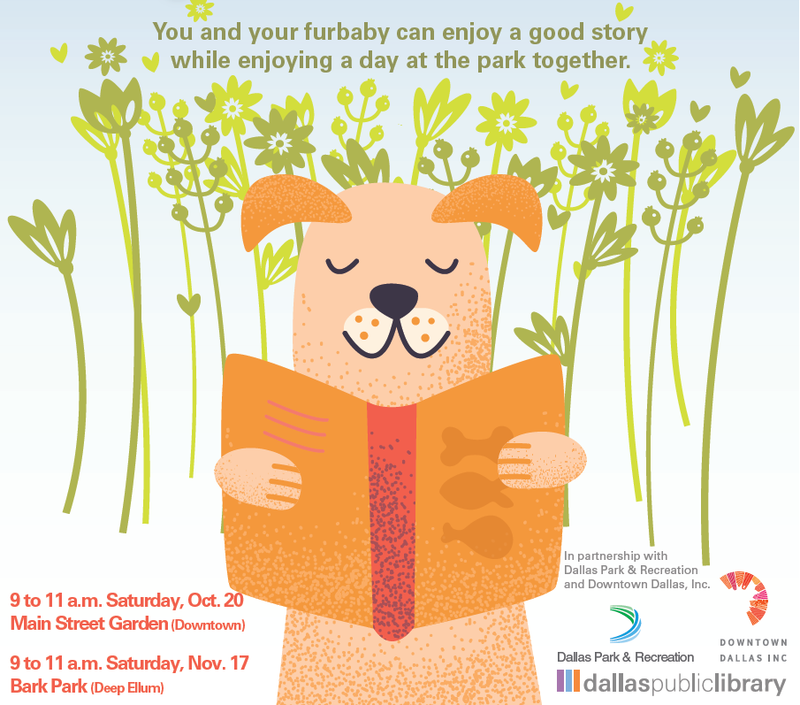 You and your furbaby can enjoy the delights of listening to a good story all while enjoying a lovely time at the park together! So get those leashes ready and let's go to the park! 9 to 11 a.m. Saturday Oct. 20, 2018 at the Main Street Dog Park. 9 to 11 a.m. Saturday Nov. 17, 2018 at the Deep Ellum Bark Park. This program is brought to you by the Dallas Public Library in partnership with Downtown Dallas, Inc. and the City of Dallas Park & Recreation Department.